Another sauce from a competition barbecue team, and once again they are no slouch. 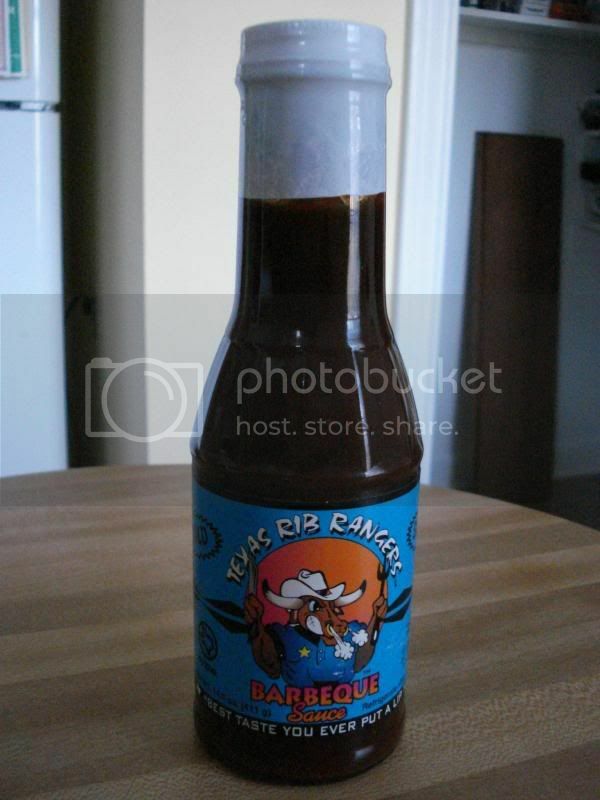 Certainly Texas Rib Rangers' barbecue has done very well in competition, but they have been especially sucessful with their line of sauces. The one with the blue label is the original. Although it says Texas in the name, this sauce is more along the lines of Kansas City. It's thick and it's dark and it's sweet and smoky. The molasses sweetness is complemented primarily by vinegar and onion flavors. There is little to no heat, but they do make "spicey" and "hot" versions, if that's what you're looking for. I have only tried the spicy version of their sauce, but it got pretty much what you gave it. About a B, maybe a B+. Keep up the excellent reviews!